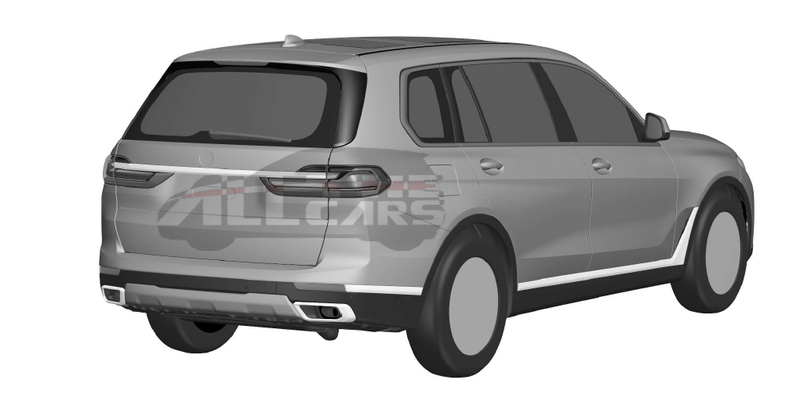 The upcoming BMW X7 has been Revealed in patent renderings this week, obtained by a Brazilian automotive publication Motor1 Brazil confirming the exterior design of the new X7. 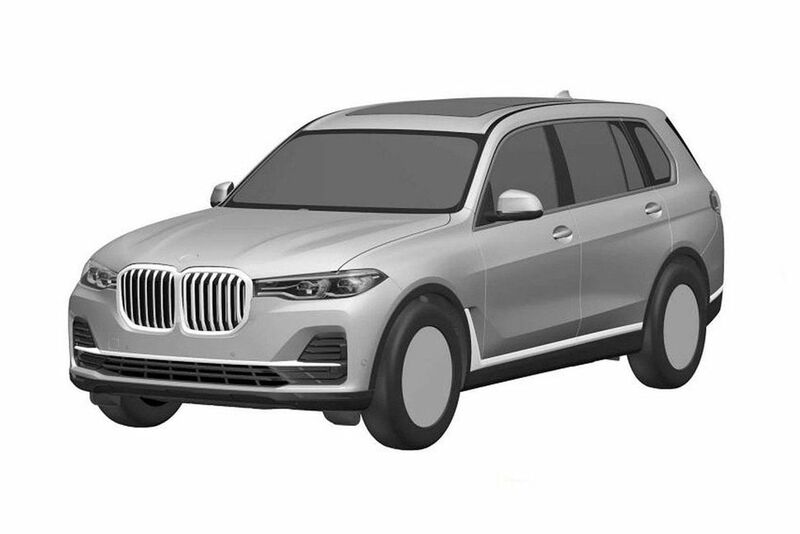 From the Patent Images, it is evident that BMW ‘s new SUV flagship looks quite a lot like the Concept X7 iPerformance previewed at the Frankfurt motor show. BMW’s upcoming seven-seater will initially feature a naturally aspirated engine, rather than the hybrid powertrain of the X7 iPerformance. However, a hybrid variant will come later. It is too soon for BMW to confirm the full engine line-up of the X7, but it’s known that an X7 M50d M Performance, as well as xDrive40i, xDrive50i and xDrive30d variants will be available from launch. The meat of the range is expected to comprise of the 3.0-litre diesel in 30d, 40d and 50d guises and the twin-turbo 4.4-litre petrol V8 from the X6 xDrive50i. 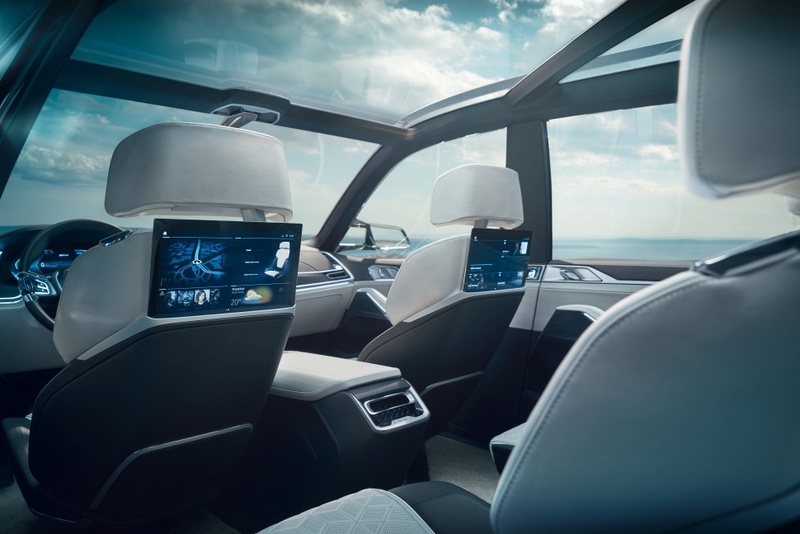 When it launches either later this year or early next, the X7 will become BMW’s first competitor to the likes of full-size luxury SUV’s including the Mercedes-Benz GLS, Range Rover, and Audi Q7. High-spec versions will also aim to steal sales from the Bentley Bentayga and Rolls-Royce Cullinan.